Gone With The Wind is an historical epic film about the love between Scarlett O’Hara (Vivien Leigh) and Rhett Butler (Clark Gable). Its set in the American Civil War and Reconstruction era from a Southern point of view. – The film is based on the popular book by Margaret Mitchell and follows the original storyline pretty closely. 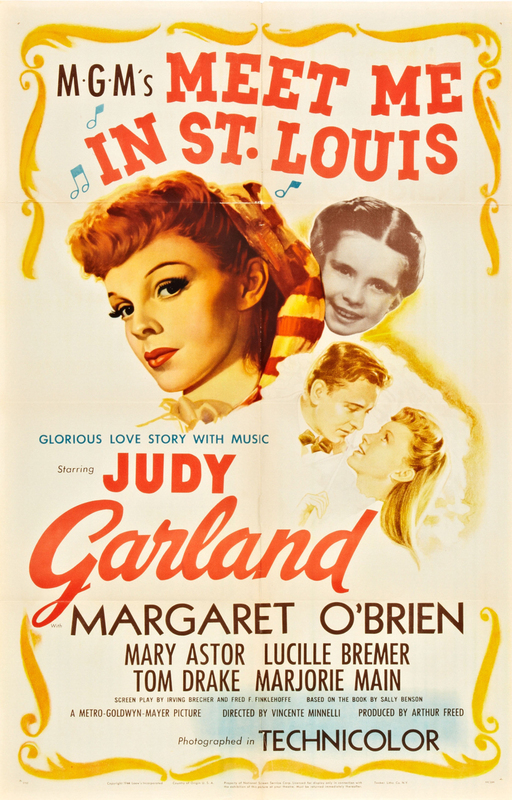 David O. Selznick bought the rights a month after its publication for 50,000 dollars, a record at the time. – Margaret Mitchell’s first choice to play Rhett Butler was Basil Rathbone and her first choice for Scarlett was Miriam Hopkins. – The search for the actress to play Scarlett was a difficult one. 1400 unknown actresses auditioned for the part in a very publicized nationwide search and a lot of famous actresses were dying to play the strongwilled Scarlett. In the end it was down to Paulette Goddard and Vivien Leigh. Vivien ultimately got the part. – Clark Gable did not want to play the part of Rhett Butler. He believed that the character was so loved, that no actor could live up to the expectations. Another reason was the fact that he had done a costume drama before and it was a terrible failure. The only reason he accepted the part was because MGM agreed to give him the financial help he needed to obtain a divorce from his wife so he could marry Carole Lombard if he played Rhett. 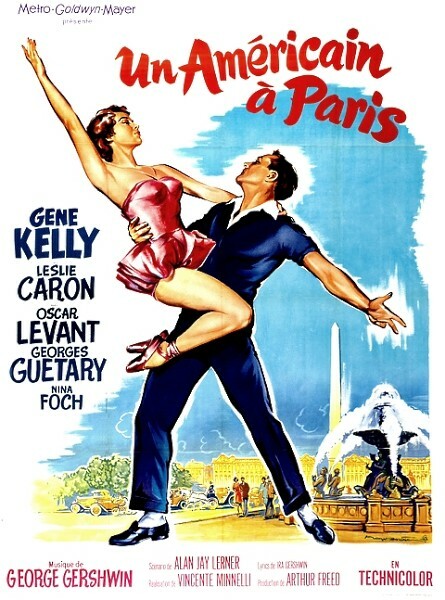 – Director George Cukor (who had directed movies like Dinner At Eight and Little Women) worked on Gone With The Wind all through pre-production and the first month of filming. But he was fired and replaced by Victor Flemming, who was taken off the last weeks of shooting The Wizard of Oz to do Gone With The Wind. Both Vivien Leigh and Olivia de Havilland were still secretly coached by Cukor on weekends. – Leslie Howard felt he was much too old to play Ashley Wilkes and had to wear extra make-up and a hairpiece to make him look younger. – Gone With The Wind is almost four hours long and according to reports David O. Selznick thought about making two movies out of it. – Hattie Daniel won an Academy Award for Best Supporting Actress for her role as Mammie. She was the first African-American to be nominated for, and win, an Academy Award. But she was not allowed to attend the award ceremony because of her race. This outraged Clark Gable, but Hattie convinced him to go to the ceremony anyway. – The famous line: ‘Frankly my dear, I don’t give a damn’ was almost changed into: ‘Frankly my dear, I don’t care’ by the censors. 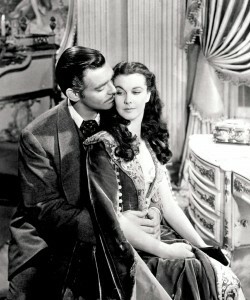 – Upon its release Gone With The Wind replaced Snow White and the Seven Dwarfs as the highest grossing film of all time. 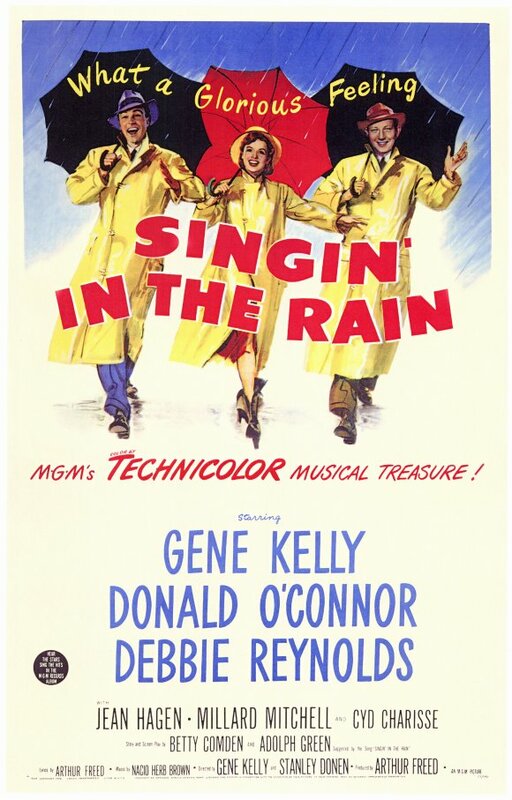 In 1966 it was overtaken by The Sound of Music, but after adjustments of inflation it’s still the highest grossing film of all time in the United States and the United Kingdom. 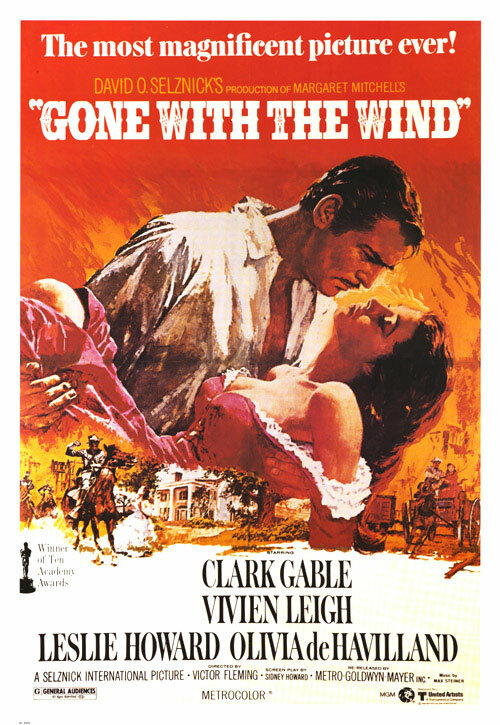 Gone With The Wind the novel was declared the second favorite book of American readers after the Bible. But the popularity of the movie adaption does the novel justice. Just like the novel it has legions of fans and it still has not lost its appeal. In 1989, Gone With The Wind was selected for preservation in the United States National Film Registry by the Library of Congres as being “culturally, historically, or aesthetically significant”. It is a worldwide classic and resides on many ‘…of all times’ lists. The infamous ‘Frankly my dear, I don’t give a damn’ line was even voted as the most memorable line in cinema history in a poll by the American Film Institute in 2005. But Gone With The Wind is also surrounded by controversy. The portrayal of black slaves is seen as racist and misguiding. Malcolm X even said that ‘when Butterfly McQueen went into her act, I felt like crawling under the rug’. I initially had a hard time stomaching the racism in the book and movie and, like Malcolm X, I cringed with horror over Butterfly McQueen’s act. However, over the years, I came to appreciate the artistry of Gone With the Wind. It is nothing less than a great story. 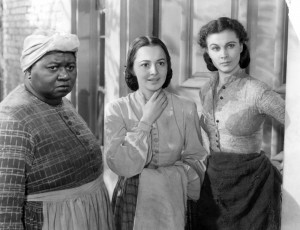 I also made peace with the slavery question depicted, as a dramatic snapshot of how many White southerners felt about the erosion of their “way of life.” In addition, the film did provide work for deserving Black actors… and Hattie McDaniel deserved every bit of her oscar!